As your third set of molars, commonly referred to as the “wisdom teeth”, come in during your late teens to mid twenties, you may experience some discomfort as they emerge. 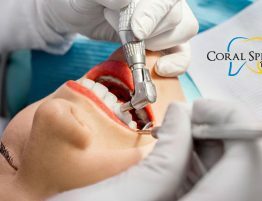 Due to overcrowding, there may not be enough room in the mouth for them to come in properly, resulting in wisdom teeth that may be tilted in the jaw, causing them to emerge at an angle and result in further crowding within the mouth. 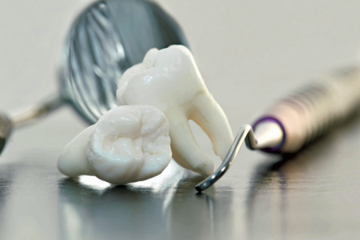 In serious cases, the wisdom tooth may become impacted and not emerge at all. Impacted molars can sometimes be painless, but painful swelling is not an uncommon experience as these final teeth begin to emerge. 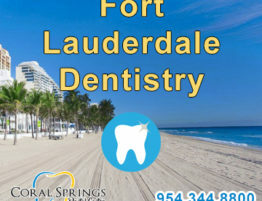 While it depends on what each dentist recommends for their patients on an individual basis, even painless teeth may need to be removed in order to reduce the risk of decay, infection, unwanted movement, and even the formation of (typically benign) tumors. Regardless of your pain level, if your dentist determines that you’re at a higher risk for any of these complications, they may recommend removal of the offending wisdom teeth. 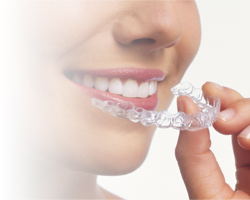 Any kind of dental surgery can be a scary and potentially uncomfortable experience, but it doesn’t always have to be! 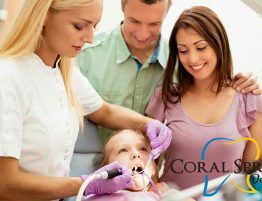 Here at Coral Springs Dental Center in Coral Springs, FL, we want to make sure that our patients are fully informed about their dental procedures, including the critical aftercare that must be performed. 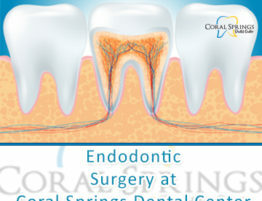 Are you considering having your impacted wisdom tooth removed? Here’s everything that you need to know about your recovery process and aftercare! Unfortunately, once you and your dentist have decided that it’s time to remove a defective wisdom tooth and the procedure has been successfully completed, there will still be some healing time required before you’ve made a full recovery. As stated above, you will probably experience some discomfort and swelling as your mouth begins to heal. Some recovering patients even experience continued bleeding in the first day or so after their surgery, but by gently placing some gauze over the area, changing it periodically as it soaks up the bleeding. If the bleeding becomes excessive and the gauze doesn’t seem to be doing the trick, then you can also substitute the gauze for a tea bag that has been soaked in warm water and then squeezed out. Once 30 minutes or so have passed, the bleeding and pain should have subsided noticeably. However, stitches may be required in cases where bleeding becomes abnormally excessive. In that case, call your dentist right away. Either way, you will still want to avoid aggravating the area and somehow reopening your wounds – be wary of accidentally dislodging the blood clots while eating, drinking, or redressing your wounds. During the first several days of your recovery process, it is best to avoid eating solid foods that could be painful to chew and liquids such as alcohol, coffee, soda, or other acidic beverages as these could increase sensitivity while healing, especially when too hot or cold. You also don’t want to eat or drink anything at all before your surgical anesthetic wears off to avoid accidentally biting the inside of your mouth or tongue. After your wisdom tooth removal, the swelling of your cheeks will be noticeable. This is completely normal and can be minimized with anti-inflammatory medications and by alternating between using hot and cold packs against the face (20 minutes each, successively), but only heat should be used after 48 hours from your surgery and beyond. Again, the swelling may be accompanied by pain for the first few days after your surgery, but there are ways to alleviate the possible discomfort. If your dentist gave you any prescribed medications for the swelling or pain, be sure to fill the prescriptions right away and only take them as directed. If possible, it’s best to take your first dose before your surgical anesthetic wears off, so don’t wait too long as the most intense discomfort generally occurs within the first 8 hours of the procedure. If you find yourself in intense pain but are concerned about the effects of taking pain medication, sometimes it’s even helpful to have someone else dose out your medication for you, just in case. Be aware that these medications can have side effects such as drowsiness and nausea. Above all else, the best thing to do after your wisdom tooth removal surgery is to just relax and take it easy! Avoid strenuous activities for several stays, staying off of your feet as much as possible until you’re feeling confidently rested. 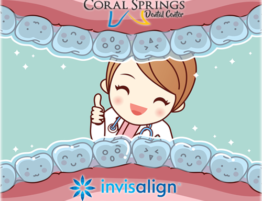 While resting, remember to always recline your head in a position that keeps your head elevated above your heart to help further reduce the bleeding and swelling of your mouth. Everyone’s procedure is different, so above all, adhere to the advice of your dentist as your teeth may require different consideration. 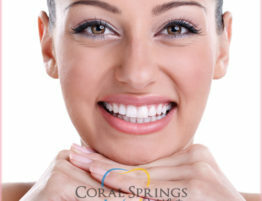 If you’re considering a wisdom tooth removal, then contact us at Coral Springs Dental Center!